"Evernote will have an application for Windows Phone 7 ready 'this winter', according to a post on the company's official blog. No additional details have been made public, but given the suggested time frame, Evernote for Windows Phone 7 should be ready in a couple of months at the latest." You may want to place a note to yourself in Evernote on your PC as a reminder that a version of this very capable note-taking application will be available for Windows Phone 7 in the not too distant future. Evernote is supported on multiple platforms, so adding the Windows Phone 7 platform is not a great surprise, but will certainly be welcomed by many. I've looked at Evernote several times as a note taking solution, but each time I saw that they hadn't provided any kind of offline access. I ride the subway back and forth to work and I would be able to author or access my notes. That was a deal breaker for me. I ended up using a basic text editor on top of Dropbox. The android app is called Epistle. 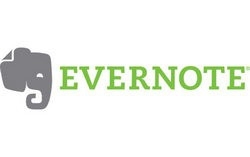 phillip - evernote "notes" can contain many different file types, so it's not uncommon for evernote databases to grow to gigabytes in size. the iphone version of evernote allows you to store certain notes locally. i would think that the wp7 would also have that capability.